Milan, June 2018 : Sergio Tacchini, the historic Italian sportswear brand, is one of the first to have believed in the new event White Street Market and, to mark the occasion, it will be presenting an exclusive capsule on sale only for the duration of this three-­day happening. 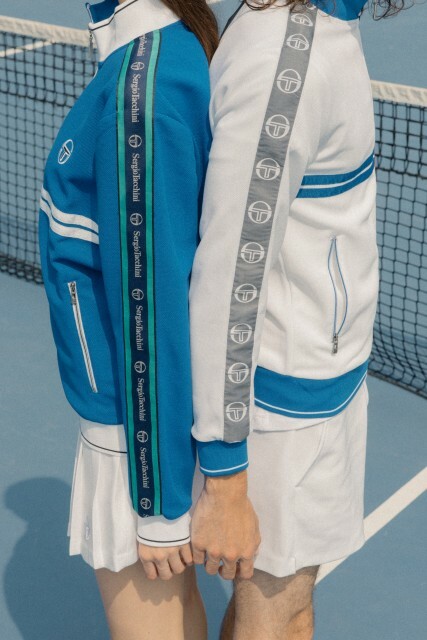 This capsule has been created in collaboration with the Paris­based brand Andrea Crews, with which Sergio Tacchini launched an initial capsule exactly one year ago during the Paris Fashion Week. The entire operation came about thanks to combination of this Italian brand’s icon garments with the philosophy of Andrea Crews, which upcycles normal clothes to give them new life. This leads to the creation of items with strong personality that are always very original and make a huge contribution to saving materials and energy.